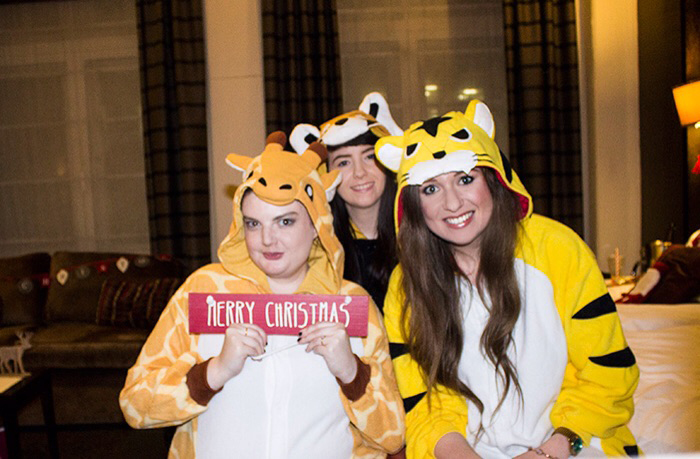 A couple of days ago, we headed over to the Grand Central Hotel in Glasgow for a night of Christmas festivities, wonderful food and great company. 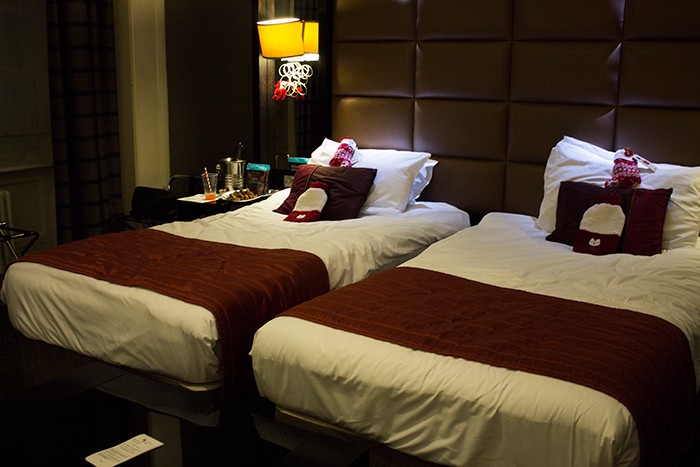 That's right, it's time for this years Glasgow bloggers sleepover hosted by the wonderful Laura of A Life With Frills. Here's what we got up to. There's nothing better than getting cosy with great company, surrounded by all things Christmassy to really get us in the festive spirit. This year's venue was the fabulous Grand Central Hotel who very kindly provided us warm hospitality for the evening ahead. 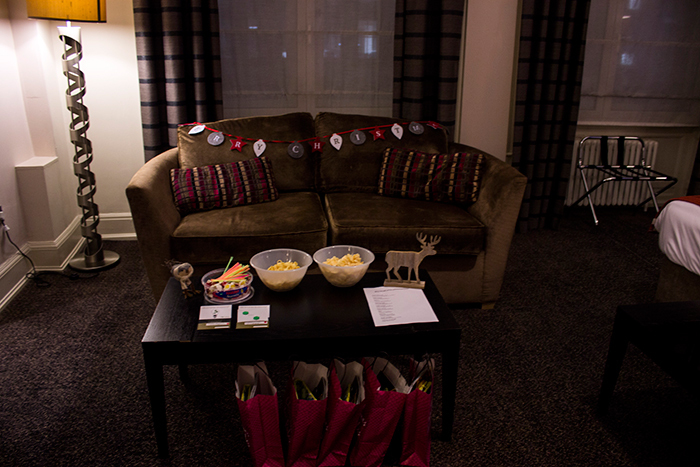 The rooms were kitted out by Wilko with a mix of Christmas garlands, festive creatures and all the stockings. 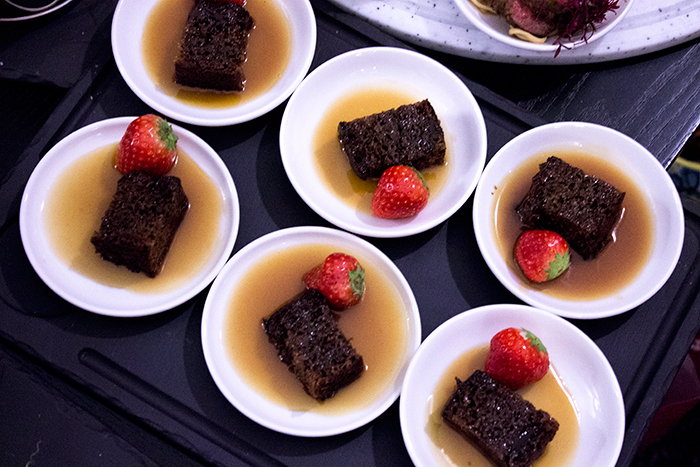 Before we knew it, food had arrived and we gladly tucked into an amazing range of sweets and savories created just for us. 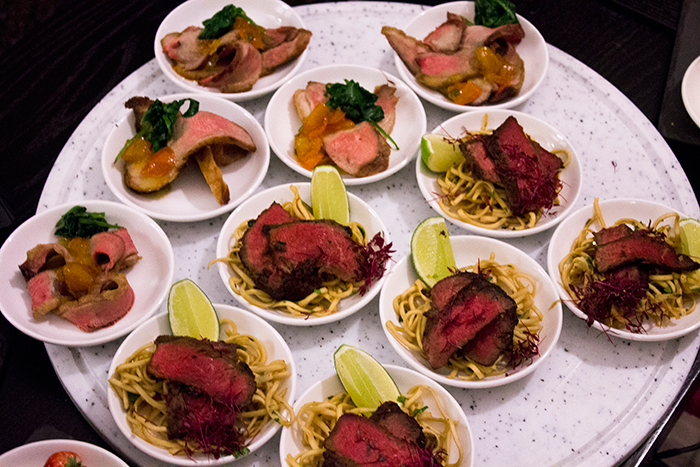 There was everything from turkey with cranberry, beef fillet, chorizo tortellini to sticky toffee pudding, lemon posset and macarons. We really were spoiled for choice! I think we were all in agreement however that the parisian black truffle oil & parmesan fries were to die for. After our wonderful festive feast, it was time to bring out the cocktails. 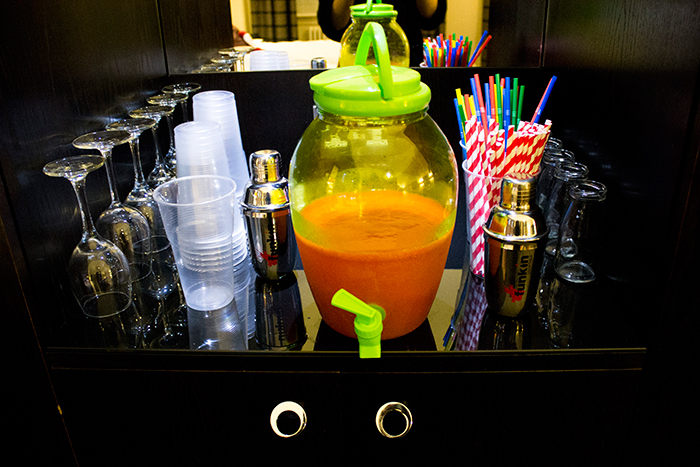 Laura made a fabulous punch for us all with the help of Funkin Cocktails and we of course had to fit in a little Diet Coke break which was also provided. 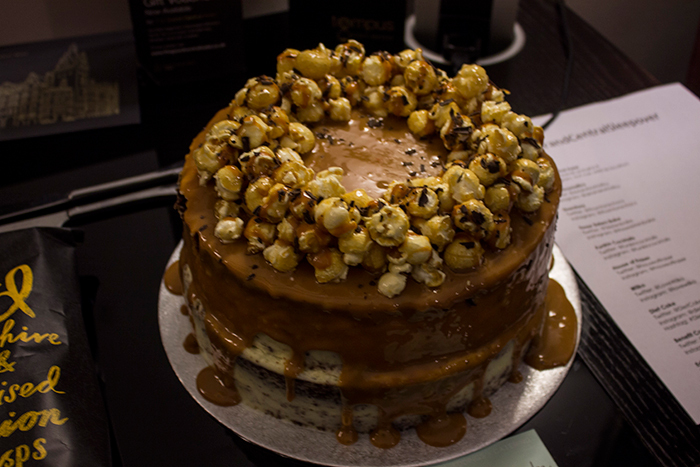 You'd think we couldn't look at any more food but we managed to save extra room for the Salted Caramel Beast cake, kindly provided by Three Sisters Bake. This was honestly one of the best cakes we've ever tried, it was difficult to resist eating the whole thing! 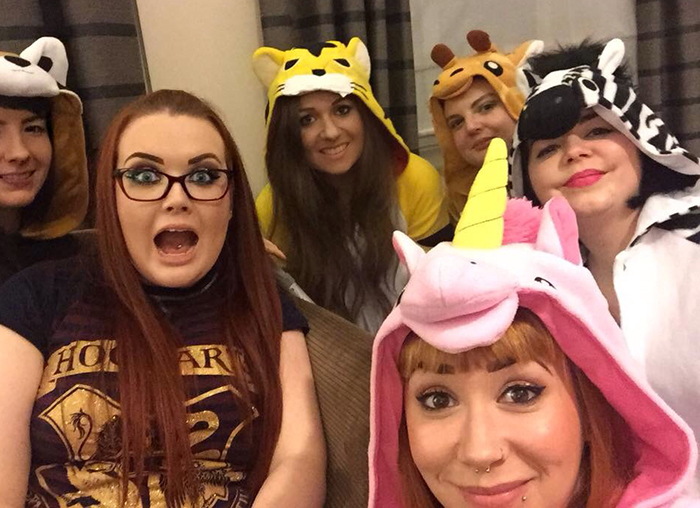 Of course as it's a sleepover, comfy clothes are a must so we quickly got changed into our wonderful Kigurumi Onesie's from Tickled Pink Fancy Dress which were a massive hit. 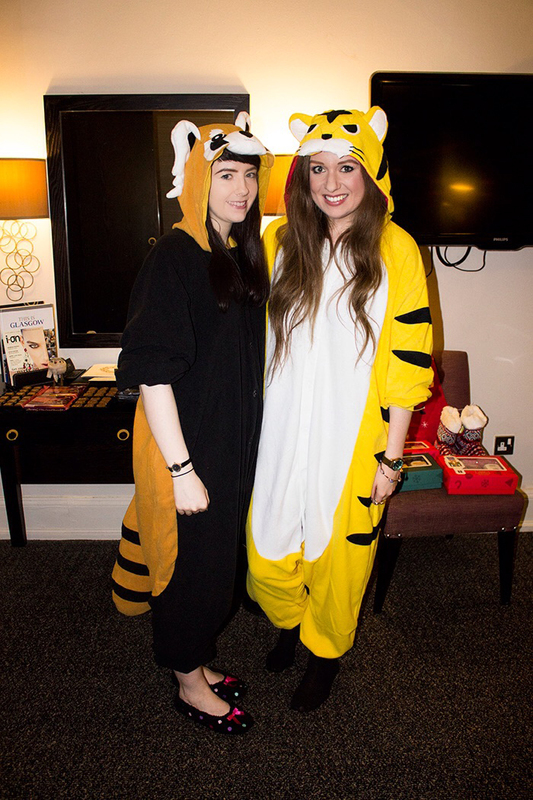 If you can't guess what we are, Sami is a red panda and Lisa is a tiger! Before we headed off to bed, we took a little peek in our goody bags provided by House of Fraser (who also provided champers) with some lovely perfumes and jewellery along with a lovely little trio kit from Benefit. If we weren't already spoiled enough by this point, Thorntons provided some amazing treats and we all took home a lovely gift set from Arran Aromatics. It's safe to say Laura did an amazing job putting this all together and we definitely felt well taken care of. So much so that we had a wonderful sleep, even after staying up for hours chatting to one another and watching Christmassy films. 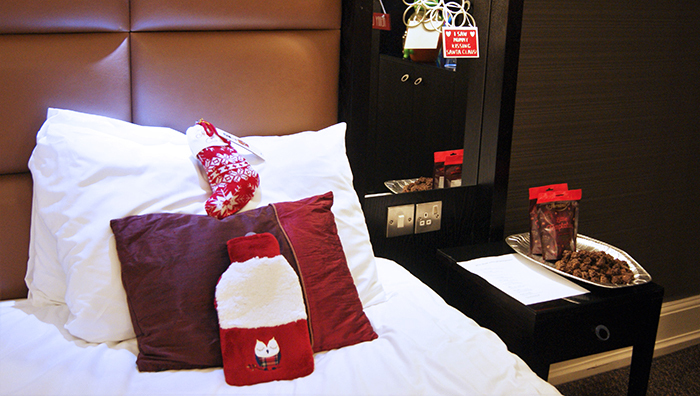 We'd definitely recommend staying over at the Grand Central during the festive season. The hotel is directly in the city centre, attached to Glasgow Central Train Station so it's extremely convenient and after a good solid 8 hours of sleep without any disturbances, I think it's safe to say a good nights sleep is definitely guaranteed. 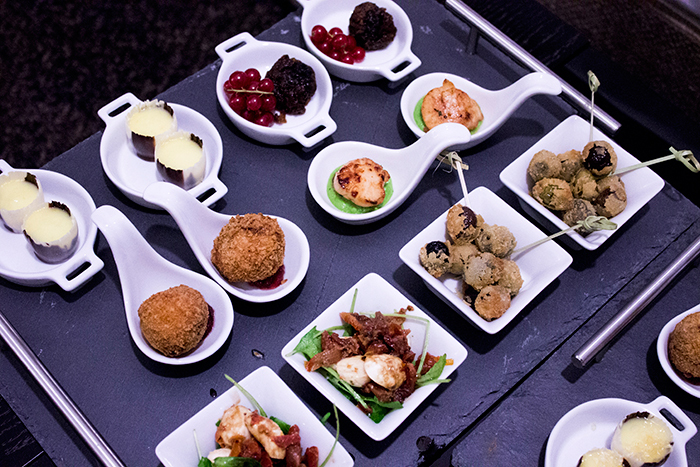 They currently have Festive Vouchers available including afternoon tea for 2 or a luxury overnight stay which would make lovely presents if you're thinking of visiting Glasgow during the festive season. Overall it was a great night! Be sure to check out the lovely ladies below.